For Dailey, a pulmonologist who has treated asthma patients at Kaiser Permanente for 29 years, it also signaled a growing health risk for his patients and the public. As wildfires burn through forests, vegetation and homes, they expel smoke and toxic pollutants, sending fine particulate matter into the air. Construction sites, factory smokestacks and fires can all emit fine particulate matter. But wildfires release smaller particulates that are nearly invisible — about 30 times smaller than a strand of human hair. That means they “can be inhaled into the deepest recesses of the lung,” causing a variety of health issues, according to a 2016 wildfire smoke guide for public health officials produced by federal agencies and California officials. When you inhale concentrated amounts of these particulates, they can enter your lungs and bloodstream. If you smell smoke, you’ve already been exposed. You may have trouble breathing, your chest may tighten or you may feel dizzy if you are close to the fire and exposed to concentrated amounts of carbon monoxide. Young children may experience pneumonia, bronchitis or asthma attacks. Pregnant women may go into labor prematurely. Older adults and people with pre-existing lung or heart conditions are especially at risk for stroke or cardiac arrest in or near a fire zone. 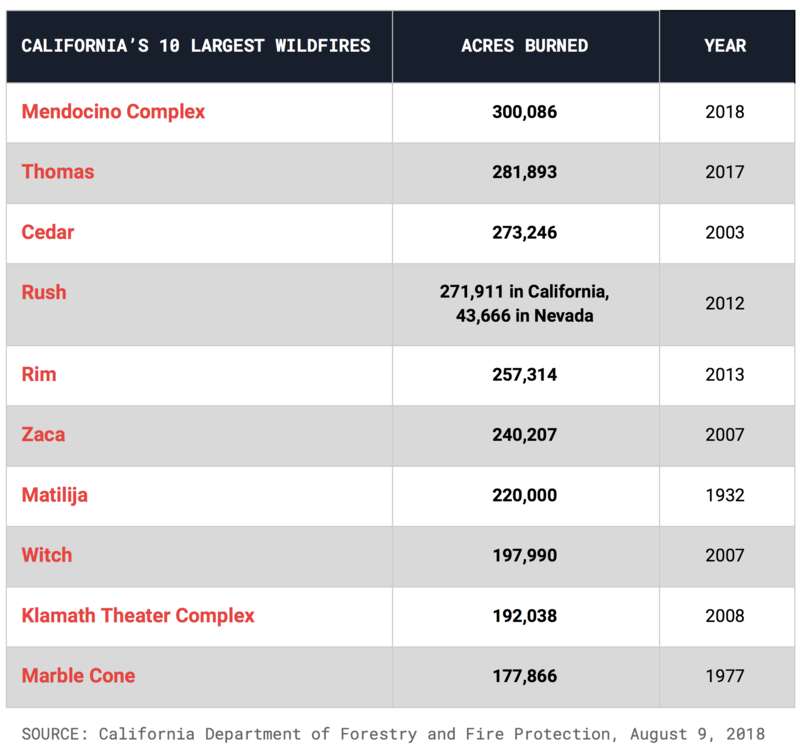 But it is difficult to estimate how many people have been sickened so far this fire season, the National Center for Environmental Health, a part of the Centers for Disease Control and Prevention, said in a statement to the PBS NewsHour. “Wildfire smoke can make anyone sick,” the center said. 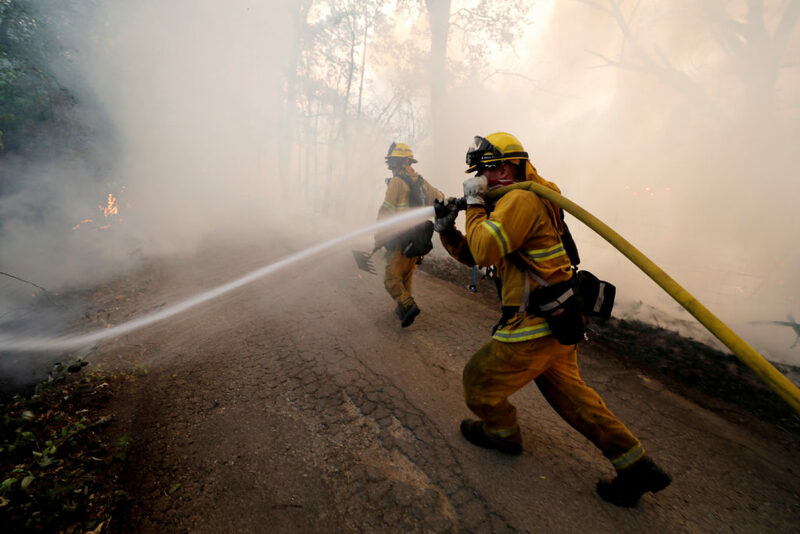 The health risks are also huge for those fighting fires, said John Balmes, a professor of medicine at University of California at San Francisco whose Human Exposure Laboratory has studied how air pollution, including wood smoke, influences what people breathe. Crews endure very heavy exposure, he said, often working 12-hour shifts, shoveling along firelines and exerting themselves so much they breathe through their mouths. And N95 masks, which filter 95 percent or more of airborne particles, offer no protection against inhaling gases released in the flames, Balmes said. “The best thing to do is get out of the area, if you can,” Balmes said. If you can’t leave, what should you do? When Dailey sees patients with known respiratory or heart issues who live near the fire zone, he said he recommends staying indoors as much as possible with windows and doors closed. Exercise, but do so inside. If you must go outdoors, Dailey suggests they wear N95 masks. 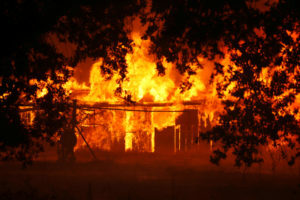 Research has illustrated how wildfires immediately harm people’s health — for instance, studies have found people visit the emergency room more often in the days after a major fire. But wildfires aren’t yet so regularly occurring that researchers like John Balmes can track measure their long-term health effects. Efforts are underway to better study the health implications linked to more frequent wildfires, Balmes said. These fires are propelled by drier and hotter conditions, a result of the effects of climate change, California Gov. Jerry Brown said. “This is part of a trend – a new normal – that we’ve got to deal with,” Brown said during an Aug. 4 press conference. While climate change doesn’t directly cause wildfires, climate scientist Michael Mann said this human-driven phenomenon fosters conditions for more frequent extreme events. California isn’t the only state dealing with more air pollution as a result of wildfires. 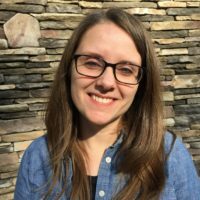 A recent study published in the Proceedings for the National Academies of Science suggested northwestern states have seen more fine particulate matter from wildfires in the air than they did 30 years ago, the result of an increasingly warming world, researchers said. In October, the Lancet Commission on Pollution and Health estimated that since 1990, 29 million deaths were linked to pollution. Pediatrician and Boston College professor Philip Landrigan, who helped lead the commission, said more severe and more frequent wildfires will pump more toxic pollutants into the air.